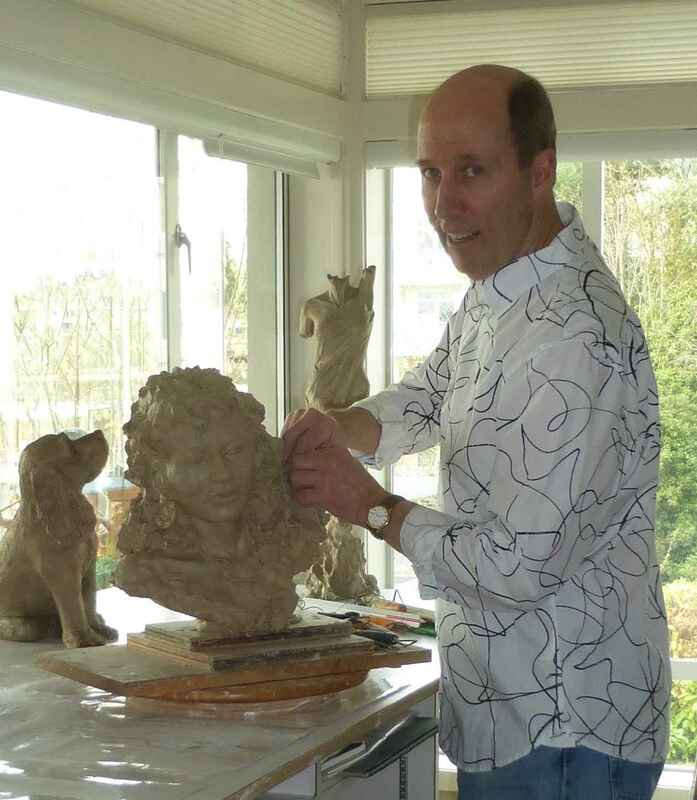 As a sculptor, Michael feels a piece comes alive as it is sculpted, capturing a moment in our busy world. He feels people get it, and pass their joy, appreciation, and enthusiasm on as validation for the art of sculpture. Which is wonderful because it nurtures the desire to create. People will recognize Michael’s sculptures from participating in many art shows throughout the Pacific Northwest. His history in sculpture is reflected in numerous professional commissions, projects, competitions and study. It has taken him to many international sand sculpture events with Canadian, European, Asian, and Russian sculptors from around the world, returning him home with many accolades. His education includes an ongoing bronze and sculpture program at Pratt's School of Fine Art. Sculpting for Michael began at the tender age of 6. He tried to "borrow" sand from the Atlantic City NJ beach in a bucket. Then, promptly being disciplined and was told "no sand box for this boy". But little did they know! ...as an adult, it grew into a world championship passion in which he sand sculpts as a solo, doubles and team, has been featured on several TV programs, teaching and professional sculpting. Both professional and personal travel around the world, have given him exposure to what the art of sculpting can be. A dentist by trade, creatively working with his hands is a given, so, ongoing studies and training in bronze since 1997 have led to expression in a more permanent media. He and his wife, Frances, a professional painter/artist, live in the Pacific Northwest.